And though I bestow all my good to feed the poor, and though I give my body to be burned, and have not charity, it profiteth me nothing. Beareth all things, knoweth all things, hopeth all things, endureth all things. Below are links for the Masonic Educational Program for Candidates, assembled in 2001, by Andrew Horn, Former Head Candidate's Coach for Santa Monica-Palisades Lodge #307. 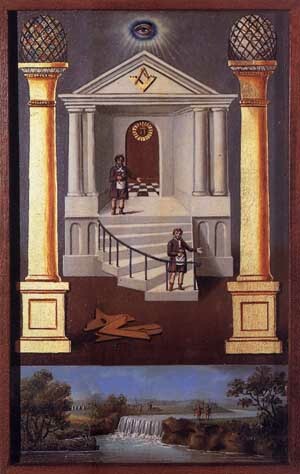 Symbols and Allegories of the Second Degree. Fellowcraft: The Wages; Corn, Wine, and Oil.